The healthy food café is serving up juices, superfood smoothies, sandwiches and salads starting this week. 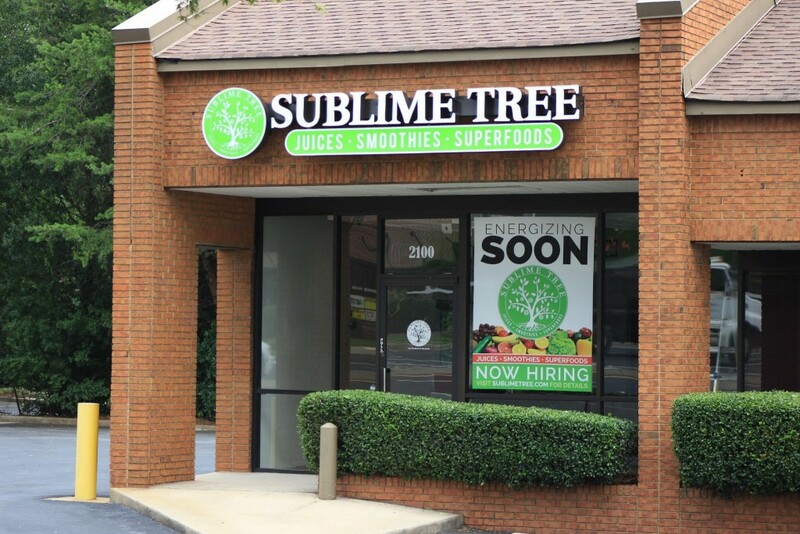 Longtime Atlanta-area power couple Patrick and Monika Scott this week are introducing Sublime Tree to the market, the city's latest health-conscious eatery. "The best medicines on the planet are the raw fruits and vegetables that grow from the ground," the duo said in a press release. The healthy food café, at 10971 Crabapple Road in Roswell, will serve up menu items like cold-pressed juices prepared daily on-premises, superfood smoothies and a selection of healthy menu items for breakfast, lunch and dinner. There are even some kid-friendly organic snacks. Sublime Tree has education built in with an "interactive educational software display" as you enter the café. “We believe education is important to empower our customers to make healthy choices in their lives,” Patrick Scott said. Sublime Tree is working with Georgia Organics and local suppliers like The Turnip Truck to keep a local sustainable focus sourcing its products. Sublime will also be serving coffee benefiting the Georgia River Network, a statewide nonprofit environmental organization focused on protecting Georgia’s rivers. “Our motto is ‘Let’s Get Back to the Earth’ and we want to be good stewards of how we source our ingredients and of our customers’ well-being." To celebrate the opening of the restaurant, the first ten people at the location in Roswell on Thursday, Friday and Saturday (September 29 – October 1) will receive a free smoothie every week for a year. string(56) "10971 Crabapple Road, Suite 1900  Roswell, Georgia 30075"